Nový Smokovec, a newly established settlement west of Starý Smokovec, was intended as a spa from the very beginning of its existence and it preserved this function until today. It was opened in response to new trends in balneology in the 19th century, which promoted climatic therapy in addition to hot water or medicinal mud treatments. The dominant structure in the area became the sanatorium for TBC therapy built to the design of M. M. Harminc in 1925. Palace, another sanatorium of the same architect was added to it later. Climatic therapy and active outdoor movement of patients is the main method of treatment applied to respiratory diseases, metabolic disorders, as well as to mental diseases. 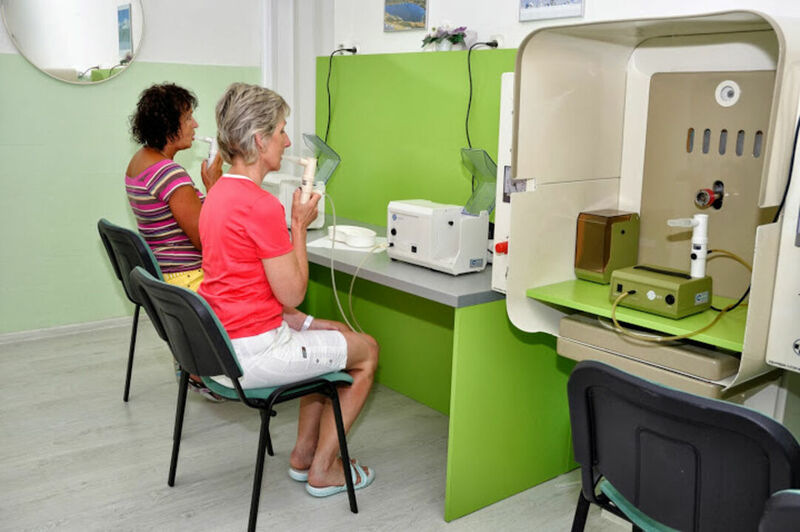 The therapy is based on individual inhalation procedures, respiratory and relaxing exercise, hydrotherapy, electric therapy, and thermo- and oxygen therapy.